Kitchen Remodeling Renovation | M. Samok LLC. Timely and cost efficient beautiful kitchens require the guidance and hands on expertise. M. Samok Quality Home Maintenance L.L.C. prides itself on being the most detailed at coordinating the many elements of an outstanding kitchen. Kitchen Remodeling is a great investment in your home, and will be enjoyed every day. By remodeling your kitchen you can add value to your home, and at the same time save money with energy efficient kitchen appliances, or by replacing your drafty kitchen windows. When it comes to kitchen remodeling, you have many decisions to make. M. Samok Quality Home Maintenance is here to assist you with your kitchen remodeling project. Kitchen Cabinets – Wood cabinets in oak, maple, cherry, hickory, pine, birch, metal and plastic. cabinet re-facing, and kitchen storage items and kitchen islands. Kitchen Sinks and Fixtures – Kitchen faucets, stainless steel, brass, plastic and glass handles. Kitchen Windows – Skylight windows, double hung and single hung windows, casement and garden windows for growing herbs and plants. Remodeling your kitchen is a big project. You’ll want to make sure you are hiring the right kitchen remodeler for your project. As is the case with any relationship, communication is the key to success. M. Samok Quality Home Maintenance will be working closely with you to ensure your guaranteed satisfaction and timly completion to minimize inconvinence. You’ll want to make sure you are choosing the right kitchen remodel for your home and your budget. 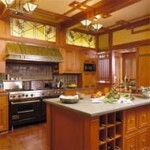 We offer Free Kitchen Remodeling Quotes Call Today.